← Is Benedict Cumberbatch In The New Star Wars? Saying “Penguins” and The Photobomb To End Them All! What’s better than Trick or Treating on Halloween night? Having a NEW Harry Potter tale to read while enjoying all your candy swag! 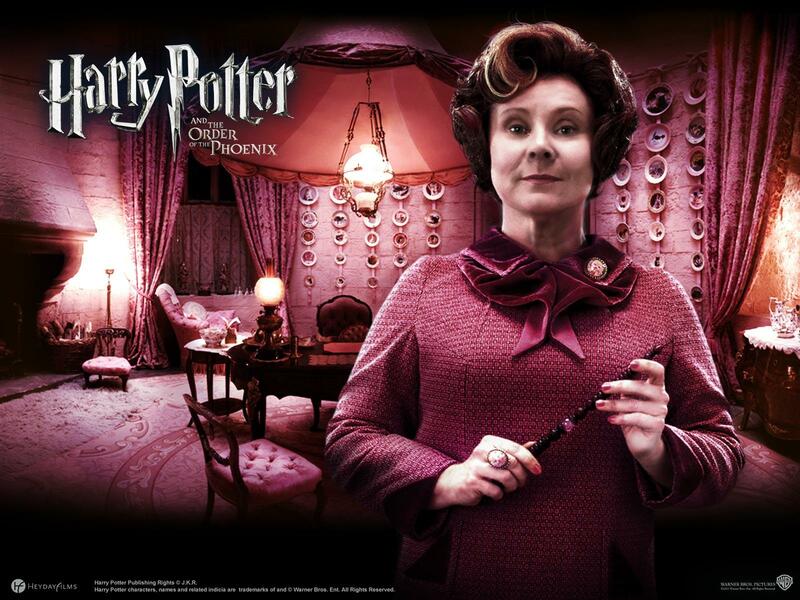 J.K. Rowling announced a “special Halloween treat for Harry Potter fans” on her Pottermore website that she has penned a new 1,500-word story that will offer “revealing first-person” thoughts about the evil, pink-wearing Hogwarts professor Dolores Umbridge. JK has been delighting Potter fans as of late with stories released online this past July as well. That story featured Harry, Ron and Hermione as adults attending the Quidditch World Cup! I love that Harry Potter need never die and go away thanks to JK’s continued gifts to the fan base. In the Halloween release Rowling will focus on the the Ministry of Magic Undersecretary. Umbridge is the one that tortured Harry by making him write “I must not tell lies” in his arm using a blood quill…brilliantly played by Imelda Staunton! “Umbridge is not only one of the most malicious Potter characters, she is the only person other than Lord Voldemort to leave a permanent physical scar on Harry,” said a statement on Pottermore, adding that this story will give you insight into the back story of one of the most hated characters in Potter history. Lady Anglophile…dusting off my Hogwarts robe for Halloween! This entry was posted in Lady Anglophile Reviews & Other Bits and Bobs, The Wizarding World of Harry Potter and tagged Harry Potter, J.K. Rowling. Bookmark the permalink. Squeeeee! I’m not sure who’s more excited by this, me or the kids, but thanks so much, J.K. Rowling! And thanks Marlise Boland for the heads up on The Anglophile Channel!